A few days back Gameloft released a single image (below) that created ripples in the gaming industry. 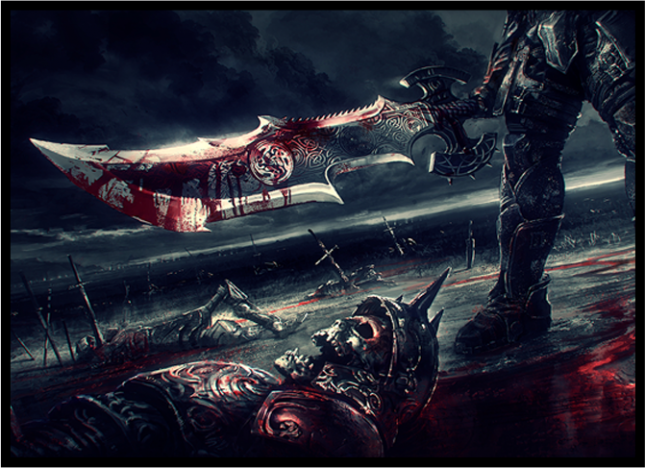 The image showed a man holding a giant blood soaked sword as he stood alone surrounded by his enemies’ remains. This single image had kept everyone guessing what Gameloft’s next would be. Many people even believed that this was the newest installment of the epic God of War series, but no one was really sure. Gameloft has now released a short 30 second trailer of the game which has been officially identified as ‘Wild Blood’, a fantasy game set a long time ago in an unknown location, that will have us fighting orcs, elves and some other dangerous beings. Gameloft has not yet released any information about the game’s release date nor of its pricing, but it is assumed that the game would release in a couple of weeks, so for now you can enjoy the teaser trailer above.